Clinique is a well known cosmetics brand. 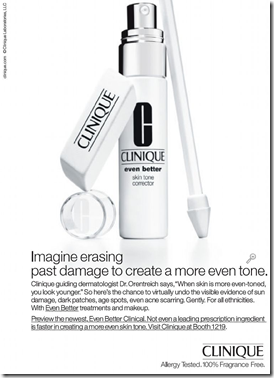 What does Clinique have that might be useful for rosacea sufferers? Well their main offering is their Clinique Redness Solutions. These products have had a generally positive response from rosacea sufferers. Be sure to checkout the Clinique Redness Solutions User Reviews for feedback from lots of fellow rosacea sufferers.